There are over 25 annual shows for superyacht vessels around the world. One show is the biggest and best. 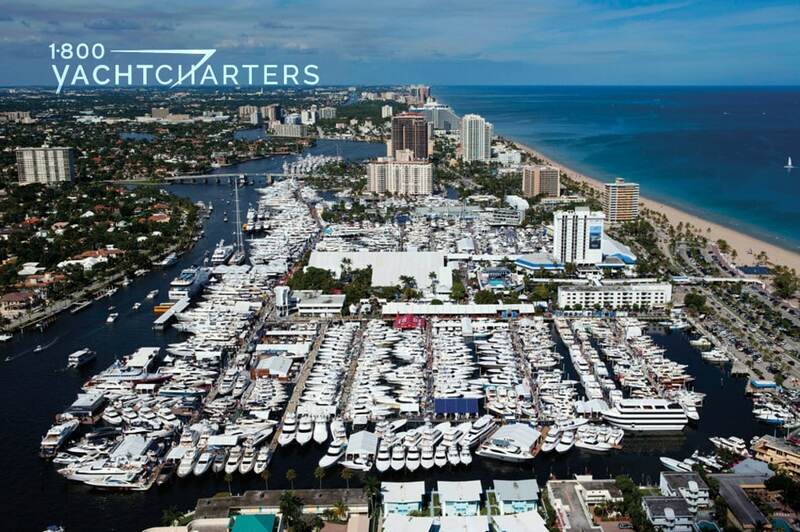 It is the Fort Lauderdale International Boat Show (FLIBS). 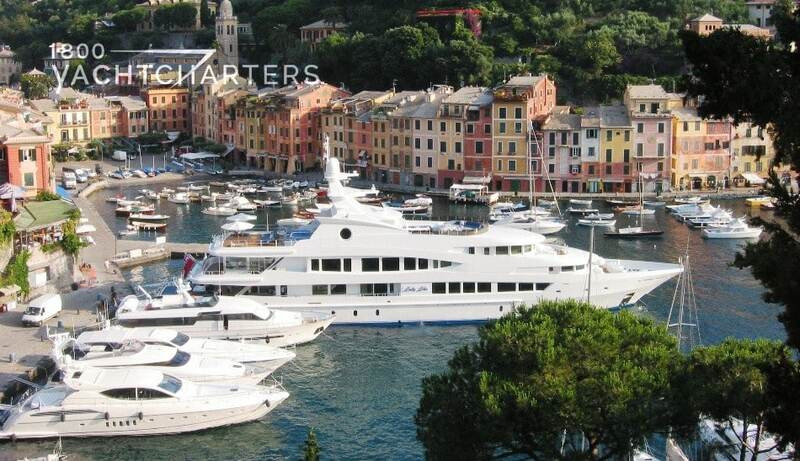 The list of exhibitors at the boat show is typically VIP’s of the superyacht industry. Trinity, Feadship, Lurssen, and Benetti yacht charter enthusiasts are in awe at the sheer number of yachts gathered in one location. “This show affords us an opportunity to educate our luxury yacht charter customers,” states 1-800 Yacht Charters President, Jana Sheeder. The 2009 showcase of luxury sail and motoryachts takes place October 29th through November 2nd. The siren song of the Adriatic Sea has drawn luxury yacht charter mega yacht MARAYA to the area. The 54 meter superyacht just started a Mediterranean yacht charter vacation in the Adriatic Sea this morning. Translated as “Many Mirrors” in Arabic, the luxury charter yacht MARAYA will then be available on 10th June for a Northern Croatia charter for one week. The Mediterranean yacht charter vessel, MARAYA, is priced at € 325,000 per week plus running expenses (like food, fuel, dockage, and bar). With children going back to school throughout Europe, September marks the end of the summer cruising season in the Mediterranean. Before the yachts get underway to relocate to the Caribbean for the winter, the fleet looks to make one last push to fill the booking calendar by offering special pricing throughout the month. First, CHRISTINO O. At 325 feet in overall length, Motor yacht CHRISTINA O is one of the largest yachts available for hire anywhere in the world. Accommodations for 35 guests are available in 17 staterooms. Special: Weekly rate of €455,000 is reduced to €400,000. Additional special: Book one week in September, and SailAway will donate €3,000 in your name to the Dubois Child Cancer Fund founded by yacht designer Ed Dubois. Currently available in the Western Mediterranean. Suggested ports of call are Nice, Monaco, San Remo, Portofino, as well as the islands of Corsica and celebrity-favorite, Sardinia. Second, MARAYA – The 54.20 meter motor yacht MARAYA was built in 2008 and offers accommodations for 12 guests in modern luxury and comfort. Onboard amenities include a workout gym, vast sundeck, and ondeck Jacuzzi. Special: Based on a weekly rate of €300,000/week, cruise for 9 days but pay for only 7. Currently available in the Eastern Mediterranean, this is the perfect yacht for Greece yacht charters. Third, CLOUD 9 – 60 meter superyacht CLOUD 9 was a big winner at the 2010 ShowBoats Design Awards, taking home awards for Best Exterior Design, and Best Interior Recreational Area. With a watertoys list to satisfy the most discerning guests, this yacht is a truly exciting edition to the international rental market. Special: Based on a weekly rate of €357,000/week, cruise for 9 days but pay for only 7. Currently available in the Eastern Mediterranean, the yacht is willing to relocate for a Croatia yacht charter. September is the last chance to enjoy the warm summer waters of the Mediterranean. Contact our destination experts today to review ALL of the last-minute special offers on both motoryachts and sailing yachts throughout the Med.